Subsidizing some at the expense of others is old-school leftism, and it won’t make America great again. This week, President Trump reiterated his commitment to his “hire American, buy American” program — a supposedly crucial element in his “economic nationalist” program. The notion here is threefold: American companies should be forced to hire American labor; government contracts should go to American companies; American producers should be protected from domestic competition by revoking or altering international trade agreements. All three of these policies have a long, ingloriously stupid history. First, the notion that American companies should be forced to hire American labor is a conceit of the Left. It is based on the same failures of economic understanding that lead to advocating higher minimum wages: the notion that cramming through an increase in labor cost does not cost jobs to a company, does not raise costs to the consumer, and does not degrade the quality of future products. Yet Trump and other protectionists such as Attorney General Jeff Sessions and Ann Coulter have long seen H-1B visas — supposedly high-tech visas allowing workers to enter the United States to fill jobs for domestically based companies — as a great bugaboo. There are certainly significant problems with the current administration of H-1B visas: Michelle Malkin has rightly pointed out that there are those who falsely sponsor immigrants to the United States without any intention of employing them. And she is also right to criticize the H-1B lie that workers from abroad never replace American workers, and the inflated claim that there is a serious shortage of Americans qualified to fill jobs in science, technology, engineering, and math (STEM jobs). Other valid critiques of H-1B visas are that they tie visa-holders to jobs and give employers total leverage over them. But there is a broader ideological critique that is simply false: the notion that America benefits as a country by heavily restricting its labor base rather than by expanding the pool of qualified applicants. There is a strong case to be made that in a welfare state, we should curb any program that increases the domestic unemployment rate, because the taxpayers absorb the burden of the increased number of the unemployed. But there is no evidence that high-tech visas increase the unemployment rate, since high-tech companies will simply shift production overseas to take advantage of lower wages there and similar job qualifications; this deprives American companies of jobs. The goal of an economy is to create better products and services at a lower price, thereby creating new cycles of supply and demand. The goal of an economy is not to freeze the available pool of labor, thereby confiscating wealth from employers on behalf of employees lucky enough to be born inside the United States. It’s difficult to understand why people who think that we should have a closed immigration system in order to preserve jobs don’t also think that we should have dramatically higher minimum wages or forced price controls. Why should taxpayers foot the bill for cement made in Pennsylvania rather than China, absent some political payoff from politicians? Finally, Trump’s program of producing everything in America is economically illiterate. Earlier this year, (alleged) White House chief of staff Reince Priebus stated, “We can make everything here, or our goal should be to try to make everything we can in the United States so that the money gets put in the pockets of Americans.” That’s not only untrue, it’s simply nutty. Subsidizing domestic industry and cutting off imports in order to “help” the economy is a fool’s errand. Back in the 1930s, Nazi Germany embarked on a course of “autarky,” assuming that they could strengthen the domestic economy through a combination of subsidies and tariffs. The result, which Hitler actually wanted: a requirement for territorial expansion, since trade enriches countries with resources beyond their own borders. North Korea is autarkic today. So is Venezuela. Both are impoverished. Trade enriches both sides; banning trade indirectly taxes certain domestic parties in behalf of others. But this is the truly tyrannical side of “economic nationalism”: the idea that your freedom as an individual to engage in commerce must be made subservient to a sort of collectivist loyalty test. In its own way, it is no different than Joe Biden’s statements some years ago that paying higher taxes made you more patriotic. But patriotism isn’t about restricting your freedom and prosperity to help someone in a dying industry. It’s about upholding a system of freedom for everyone, even those who benefit more from those freedoms. “Economic nationalism” is FDR’s economic interventionism and Herbert Hoover’s anti-trade policy repackaged. Donald Richberg, the second head of FDR’s National Recovery Administration, stated that America had to reject “gold-plated anarchy that masqueraded as ‘rugged individualism.’” Instead, America should embrace “the great essential industries . . . operated under public obligation appropriate to the public interest in them.” In this logic, economic freedom should be made subservient to the supposed national interest. The result: the greatest depression in American history, relieved only by the full-scale militarization of American society in World War II. It is not “America First” policy to put American individualism last and government redistributionism first; that policy kills jobs and destroys liberty. Trump should know that as a businessman. He must learn it as president. 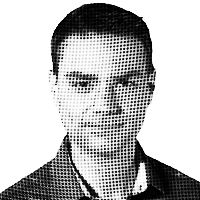 — Ben Shapiro is the editor in chief of the Daily Wire. The ‘Buy American’ Order: Cynical or Ignorant?